Does Intel have the right culture for the future? “Egalitarian. Merit based. That came from Noyce. Anyone can speak in a meeting, but you must speak with data. That came from Moore. Take risks. Embrace innovation, but do it with discipline. That’s Grove. World-class manufacturing came from Barrett. I’ve added a marketing component. Intel’s culture seems to do everything to drive facts and reasons ahead of position and formal authority. One of Intel’s values is something like “constructive confrontation”. Among large technology companies, only Intel has mastered CEO succession multiple times. Founded in 1968, Intel has gone from founders Bob Noyce and Gordon Moore, who both served as CEOs, to Andy Grove, Craig Barrett and now Paul Otellini without losing its status as the world’s preeminent chip manufacturer. It has had some major tests of its culture. In the mid-1980s Intel’s memory chip cash cow was being wiped out by Asian competitors and its future star, the microprocessor, was still building. Intel faced scandal in 1994 when it mishandled news about flaws in its Pentium chip. In 2006, the newest CEO, Otellini, had to lay off 10% of workers in what now can be seen as a prelude to the Great Recession. In 2006, when Ortellini took the helm, he tossed out the old business model. Instead of remaining focused on PCs, he pushed Intel to play a key technological role in new fields, including consumer electronics, wireless communications, and health care. And rather than just microprocessors, he wanted Intel to create all kinds of chips, as well as software, and then meld them together into what he called “platforms.” He went about reinventing Intel as PC growth began to slow. In addition top to bottom reorganization, he made big changes in the way products are developed. While previously engineers worked on ever-faster chips and then let marketers try to sell them, there are now teams of people with a cross-section of skills. Chip engineers, software developers, marketers, and market specialists all work together to come up with compelling products. Otellini is convinced such collaboration leads to breakthrough innovations. Otellini has strengthened Intel’s financial performance and maintained dominance of its industry. The challenge facing the new CEO will be to keep pace with the changing mobile, tablet and social media environment. 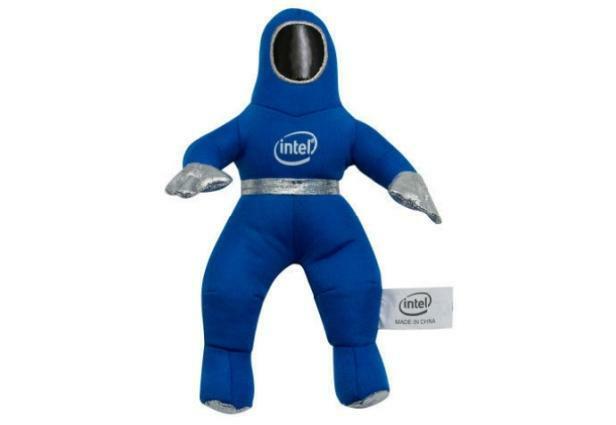 Intel’s culture took a battering with the major staff cuts in 2006 and again substantial cuts in 2011. Will it be resilient and adaptive enough with a new CEO to strengthen the future focused, customer oriented culture that was a focus of Otellini’s reign? Has it retained its innovative capabilities? Only time will tell. This entry was posted in C-Level Quotes on MarketCulture, Customer Centric Culture, Customer Centric Values, Customer Culture and Profit Link, Customer Foresight, Customer-Centricity, Game Changers, innovation, Market Culture in Action, Outside In, Peripheral Vision, Trust, Uncategorized and tagged intel;paul ottellini;corporate culture;customer centricity;tectonic shifts;technology disruption;competition;customer culture. Bookmark the permalink.